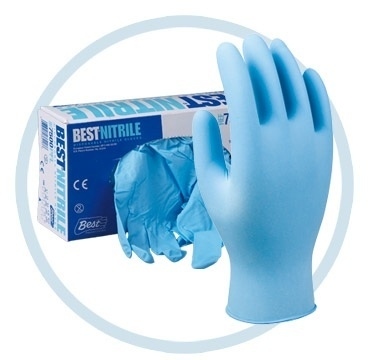 Bio-Safety simply put is the application of knowledge, techniques and equipment to prevent personal, laboratory and environmental exposure to infectious agents or biohazards. 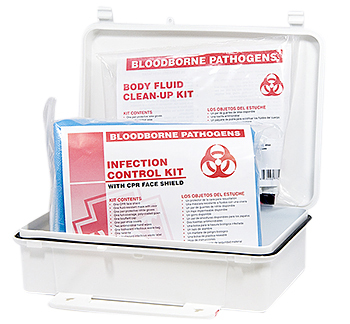 Occupational exposure to bloodborne pathogens causes more than 200 deaths and 9,000 bloodborne infections every year. When participating in any biowaste cleanup, it is essential to have the proper protective equipment. Biowaste cannot be simply thrown away with the rest of the trash, as it could become harmful to others. To that end, we offer a number of items that are designed specifically for biowaste cleanup that when used properly can guarantee the safety of your entire workforce, while complying with all federal guidelines. 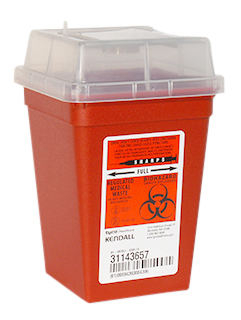 Employers shall protect their employees from the hazards of Bloodborne pathogens and comply with this standard through the use of universal precautions, engineering controls, work practice controls, personal protective equipment (gloves, gowns, face shields, CPR mask, etc...), proper housekeeping (clean-up kits, etc...), and handling of regulated waste.